Melbourne-born violinist Julia Fredersdorff studied baroque violin with Lucinda Moon at the Victorian College of the Arts, before traveling to the Netherlands to study with Enrico Gatti at The Royal Conservatorium in The Hague. 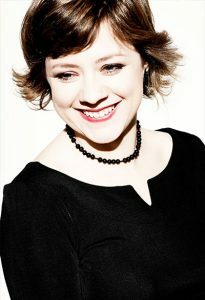 Based in Paris for almost ten years, Julia freelanced with some of the finest European ensembles, such as Les Talens Lyriques, Les Folies Françoises, Le Concert d’Astrée, Le Parlement de Musique, Ensemble Matheus, Les Paladins, Il Complesso Barocco, New Dutch Academy, Ensemble Aurora and Bach Concentus. Now resident again in Australia, Julia is a regular member of the Australian Brandenburg Orchestra, and the Orchestra of the Antipodes with whom she performs regularly as Concert Master for Pinchgut Opera, Hobart Baroque and Brisbane Baroque. Julia has participated in CD recordings for Virgin Classics, Deutsche Grammaphon, Accent, Accord, Naïve, Erato, Passacaille, Ambronay, ABC Classics, Vexations840 and Tall Poppies. Passionate about chamber music, Julia is a core member of Ludovico’s Band and a founding member of Ironwood, with whom she performs and records extensively, as well as the twice ARIA nominated baroque trio, Latitude 37. Julia is founder and Artistic Director of the annual Peninsula Summer Music Festival on the Mornington Peninsula, Victoria, and teaches baroque violin at the conservatoriums of Sydney, Hobart and Melbourne. Recent highlights have included directing Orchestra Victoria in a program of French Baroque music, performing the complete Biber Rosary Sonatas in one day for Brisbane Baroque, and performing alongside her teacher Enrico Gatti in concerts with his Ensemble Aurora.